Elevate production with the workgroup HP Color LaserJet 4730fsk Multifunction Printer. 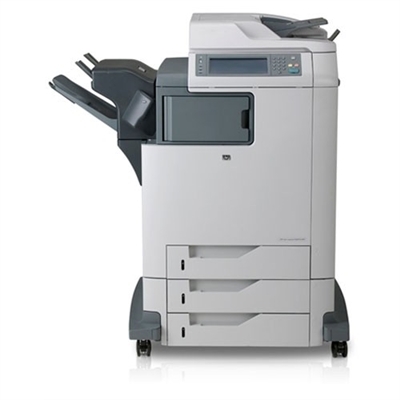 This MFP printer prints up to 31 pages per minute in black and 31 pages per minute in color. Print up to 8.5" x 14" sized media. This printer's standard paper input is 1,600 sheets. Connect this printer via Bidirectional IEEE-1284-C parallel port, Hi-Speed USB 2.0, 1 open EIO slot, FIH (foreign interface harness), Host USB accessory port.